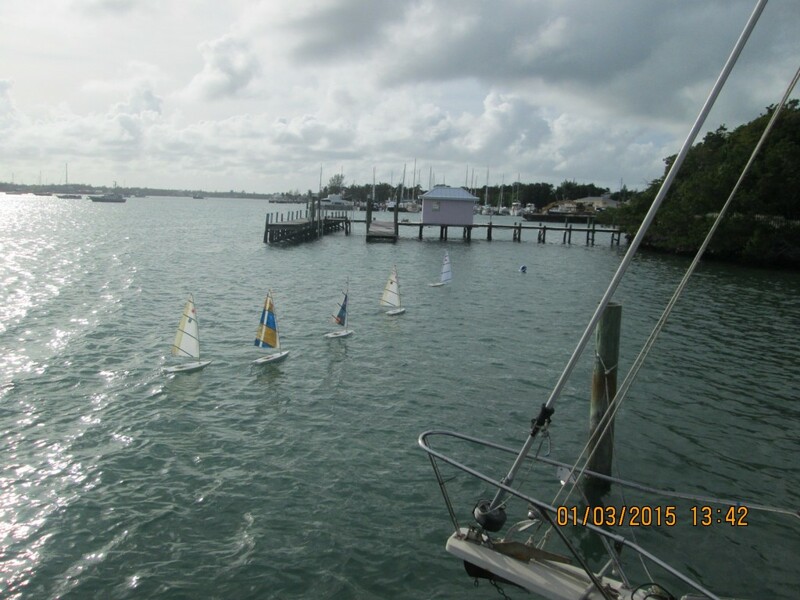 After a long off season of RC Laser sailing on Abaco, we kicked of the new season with a beautiful, warm, breezy day at Key’s dock in Marsh Harbour. Some of our regulars were busy with the new years events and some were still out of town, so next year, we will wait until the middle of January to start up again. Winds were out of the south east at about 14 mph, gusting to 18. It was on the high end of the B-Rig. There were a few bows going under, but we all managed well with the B-Rigs. We welcomed back our steadfast race committee crew, Lenore Mulock and Ylva Ljungholm. Thanks to Julie Sands for taking pictures. We started off with a practice race to get the bugs worked out. Jim won the first 3 races and Anders won the next 2 races as the wind shifted slightly to the left. We sailed 5 one lap races and finished with 3 two lap races. Brandon held the lead at times and had a good showing finishing 3rd. Rachael Sands also sailed a couple races. We hope she will come out again. In the breakdown report, we had one mainsheet come unspooled, and one mainsheet come loose from the boom. Next up is Treasure Cay January 31.